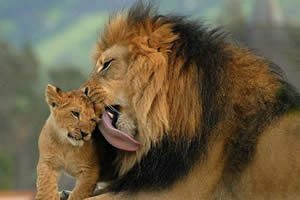 Visit the World Heritage Site Ngorongoro Crater in Tanzania with Ajabu Adventures, which offers the great opportunity to discover the “big five” and to climb the Ngorongoro Crater. The Ngorongoro Crater is the world´s largest unbroken collapsed vulcano (caldera) and it is located in the Ngorongoro Conservation Area, an area of about 8.288 km², approximately 190 km northwest from Arusha. In 1979 the area was declared as protected World Heritage Site by the UNESCO. It is estimated that about 30,000 animals are living in the crater, including the “big five”, which makes it one of the most densely populated wildlife areas in the world. With a little bit of luck you can spot the absolute highlight, the rare black rhino. Surprisingly the giraffe is absent in the crater. The reason for this is that the descent to the crater is too steep for their long necks and legs and therefore it is an impossible area to live for these animals. Around Lake Magadi, which is a large soda-lake, one can spot countless flamingos and other birds. As a matter of fact a birdwatcher will be able to distinguish about 400 different bird species. 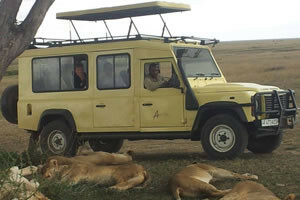 The area of the Ngorongoro Crater was at first part of the Maasai area. As a trade to leave this area was made a protected nature area instead of a National Park. The Maasai can still let their cattle drink at the crater because of this. The crater rim is at an altitude of 7497ft. Here on has a breathtaking view over and into the crater, and the changing illuminations create alternating color pallets within the crater. The Maasai have given Ngorongoro Crater its name, meaning “the black hole”. The Ngorongoro Crater is often called the “Eden of Africa”. The crater rim lies on an altitude of about 2,200 meters! The center of the crater lies approximately 610 meters lower than the rim and has an surface of 260 km². At night time herds of zebras and elephants will climb on the rim of the crater and at day time Maasai walk down with their cows and goats to let them drink and graze. 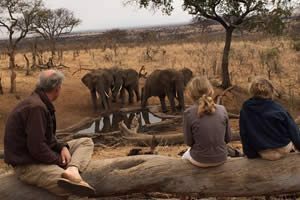 In the park itself there are, besides game drives, no other activities. However in the surrounding areas, Mto wa Mbu and Karatu, a large range of activities is offered, such as visiting a Maasai village, walk and bike safari’s and the cultural tourism program in Karatu. http://tanzaniaculturaltourism.go.tz/iraqw.htm.